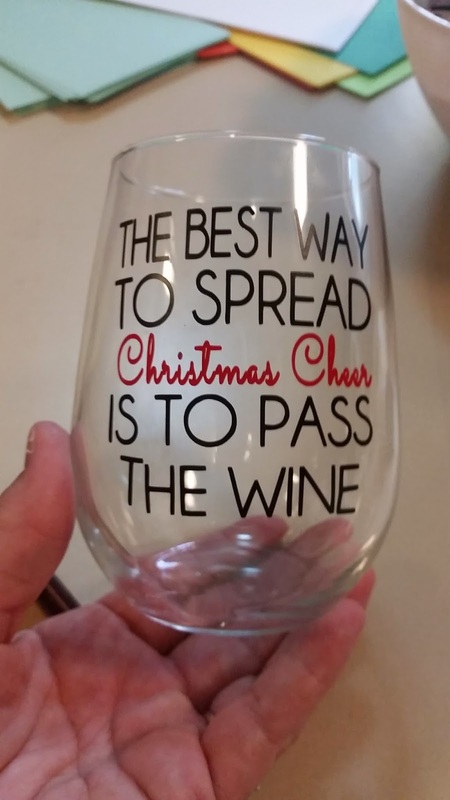 Welcome to the 12 Days of Christmas Blog Hop Day 7. This hop will take place November 24th through December 5th and the new postings each day will be posted by 8am eastern standard time. This hop will be full of wonderful ideas and inspiration to get you well on your way of creating all of those beautiful Christmas project. 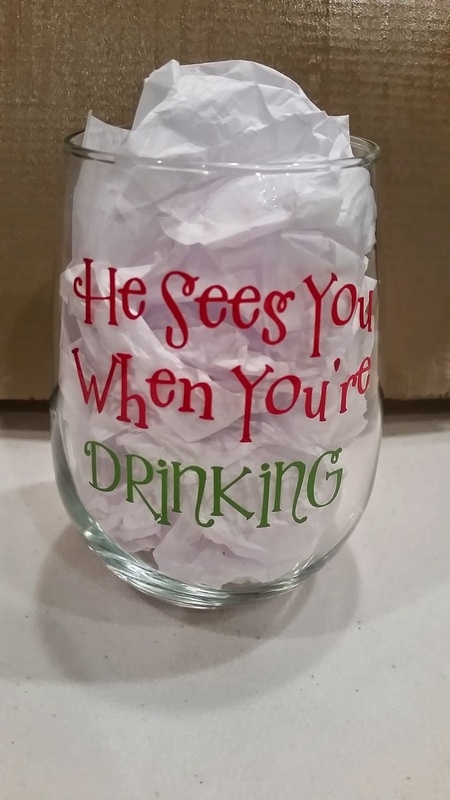 This is an awesome way to get a lot of your Christmas cards, and scrapbook layouts finished, home decorations completed and maybe even be inspired to create something using a new technique that you have never tried. There will be a new project posted each and every day by all the wonderful amazing ladies in this hop. Also each day we will have a guest designer or two for you to visit. 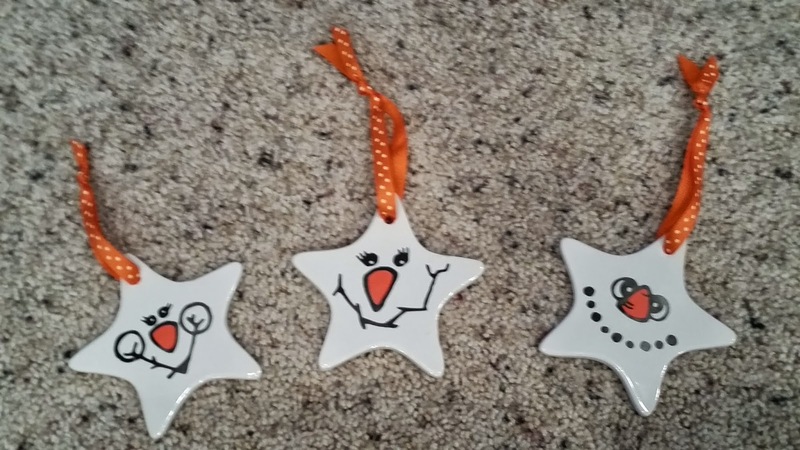 I found these flat glass ornaments last year (looked and looked and could not find any this year). 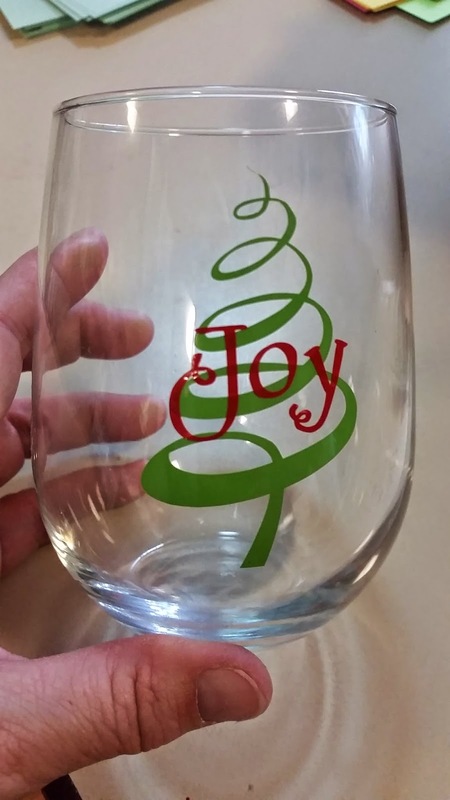 I cut the reindeer in brown vinyl and put it on the back of the glass. 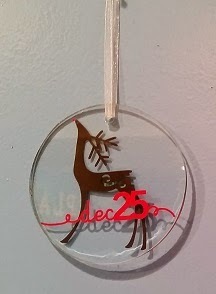 I cut dec25 in red vinyl and put it on the front of the ornament. I replaced the red ribbon with a gold shimmer ribbon and it is ready for my tree! Welcome to the 12 Days of Christmas Blog Hop Day 6. This hop will take place November 24th through December 5th and the new postings each day will be posted by 8am eastern standard time. This hop will be full of wonderful ideas and inspiration to get you well on your way of creating all of those beautiful Christmas project. This is an awesome way to get a lot of your Christmas cards, and scrapbook layouts finished, home decorations completed and maybe even be inspired to create something using a new technique that you have never tried. There will be a new project posted each and every day by all the wonderful amazing ladies in this hop. Also each day we will have a guest designer or two for you to visit. I bought these ceramic ornaments at Michael's last year. I added some snowman faces in vinyl and orange ribbon to make these adorable snowmen!! Welcome to the 12 Days of Christmas Blog Hop Day 5. This hop will take place November 24th through December 5th and the new postings each day will be posted by 8am eastern standard time. This hop will be full of wonderful ideas and inspiration to get you well on your way of creating all of those beautiful Christmas project. This is an awesome way to get a lot of your Christmas cards, and scrapbook layouts finished, home decorations completed and maybe even be inspired to create something using a new technique that you have never tried. There will be a new project posted each and every day by all the wonderful amazing ladies in this hop. Also each day we will have a guest designer or two for you to visit. 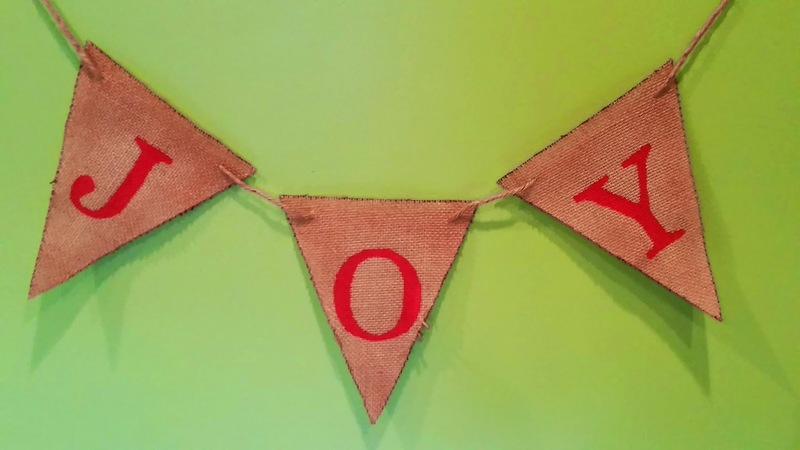 Welcome to the 12 Days of Christmas Blog Hop Day 4. This hop will take place November 24th through December 5th and the new postings each day will be posted by 8am eastern standard time. 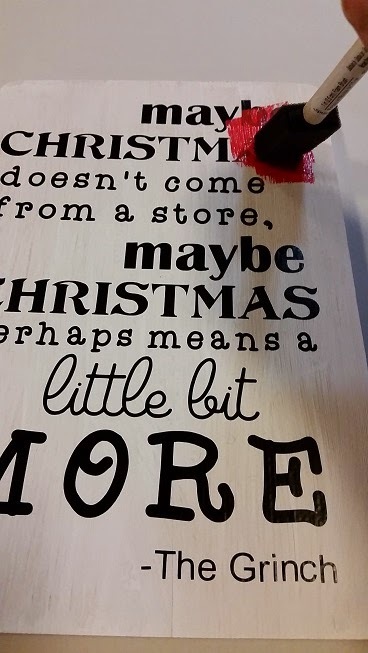 This hop will be full of wonderful ideas and inspiration to get you well on your way of creating all of those beautiful Christmas project. This is an awesome way to get a lot of your Christmas cards, and scrapbook layouts finished, home decorations completed and maybe even be inspired to create something using a new technique that you have never tried. There will be a new project posted each and every day by all the wonderful amazing ladies in this hop. Also each day we will have a guest designer or two for you to visit. 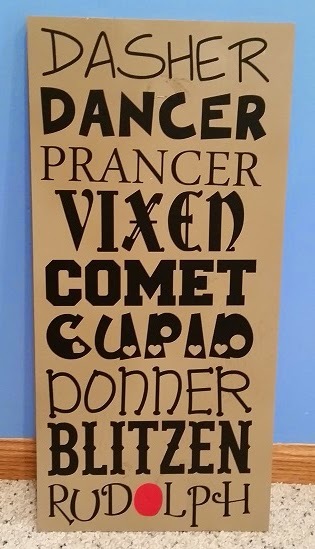 I made this fun sign for a friend. 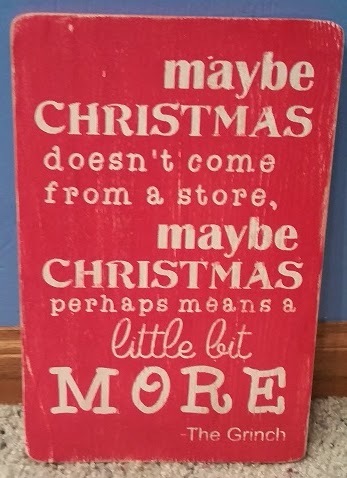 I saw a similar sign on Pinterest and decided to make one too! I used fonts on my computer and designed this on my Silhouette Cameo. I cut it out in black vinyl and put it on my board (that I painted white). I painted over the vinyl in red acrylic paint. When the paint was dry, I peeled the vinyl off. 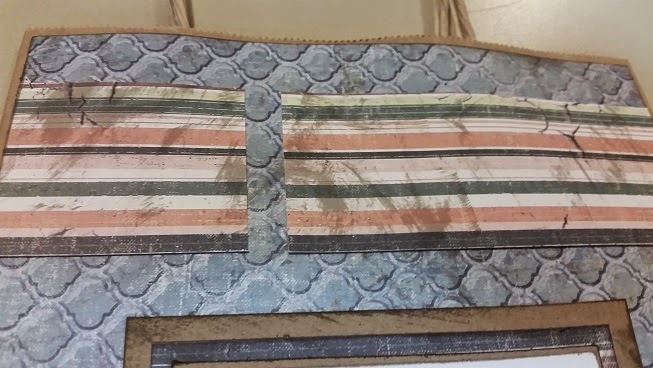 I also used a white eraser to rub off any leftover sticky residue. It helps to use removable vinyl!! I sanded the sign a bit then spray sealed it. Welcome to the 12 Days of Christmas Blog Hop Day 3. This hop will take place November 24th through December 5th and the new postings each day will be posted by 8am eastern standard time. This hop will be full of wonderful ideas and inspiration to get you well on your way of creating all of those beautiful Christmas project. This is an awesome way to get a lot of your Christmas cards, and scrapbook layouts finished, home decorations completed and maybe even be inspired to create something using a new technique that you have never tried. There will be a new project posted each and every day by all the wonderful amazing ladies in this hop. Also each day we will have a guest designer or two for you to visit. I painted a 12 x 24 board brown. 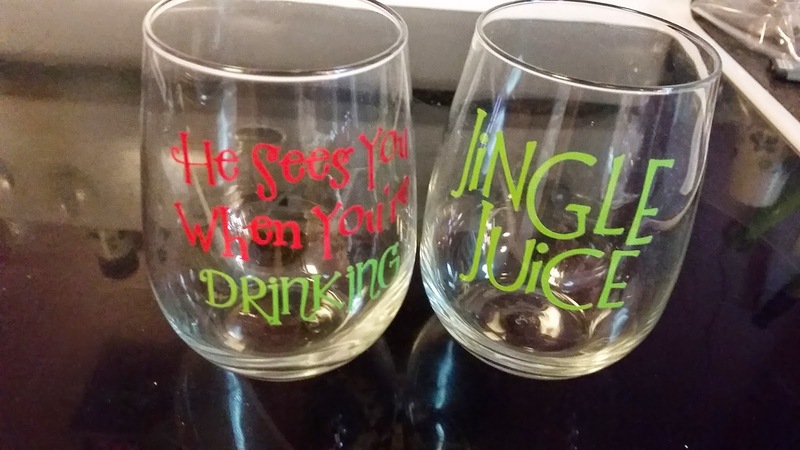 I tweaked a design using my Silhouette Cameo and cut the reindeer names in black and red vinyl. Welcome to the 12 Days of Christmas Blog Hop Day 2. This hop will take place November 24th through December 5th and the new postings each day will be posted by 8am eastern standard time. This hop will be full of wonderful ideas and inspiration to get you well on your way of creating all of those beautiful Christmas project. This is an awesome way to get a lot of your Christmas cards, and scrapbook layouts finished, home decorations completed and maybe even be inspired to create something using a new technique that you have never tried. There will be a new project posted each and every day by all the wonderful amazing ladies in this hop. Also each day we will have a guest designer or two for you to visit. 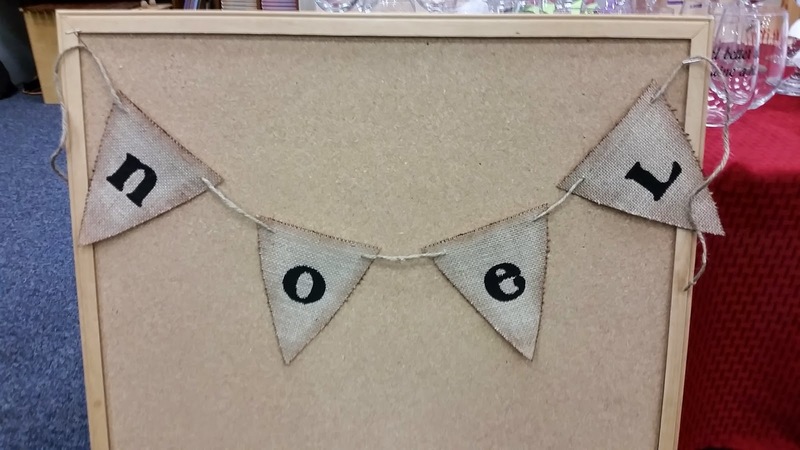 I made a burlap banner. 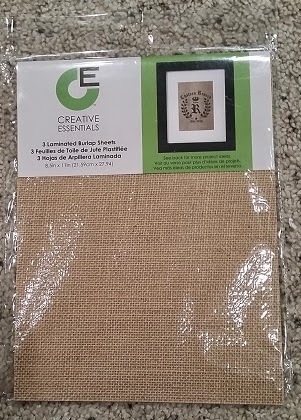 I purchased these laminated burlap sheets at Wal-Mart. I traced banner flags on the sheets and cut them out by hand. I cut out some vinyl stencils to fit my banners. I make 3 at a time, two large banners and one small banner. I use acrylic paint and pounce it on with a dry brush. Once the paint is dry, I peel the stencil off. I use my Crop- A-Dile to punch the holes and string the banner flags with twine. I use vintage photo ink to ink the banner flags to age them a bit. The banner looks great on a fireplace, door or wall. Here is a noel banner I made the same way. I used the lower case letters, smaller flags and black paint. If you missed day 1 - you can go HERE! Thanks for stopping by!! Your next stop is the Amazing ASHLEY! 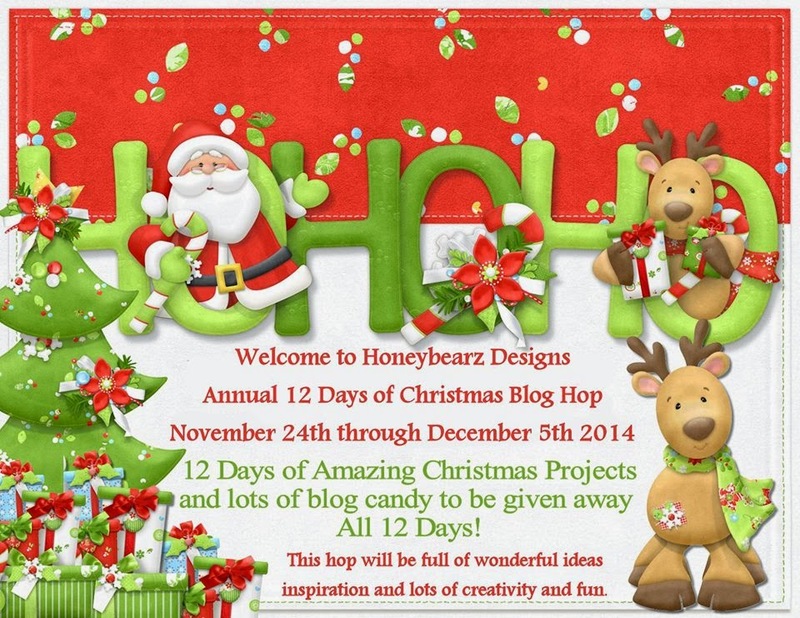 Welcome to the 12 Days of Christmas Blog Hop Day 1. This hop will take place November 24th through December 5th and the new postings each day will be posted by 8am eastern standard time. This hop will be full of wonderful ideas and inspiration to get you well on your way of creating all of those beautiful Christmas project. This is an awesome way to get a lot of your Christmas cards, and scrapbook layouts finished, home decorations completed and maybe even be inspired to create something using a new technique that you have never tried. There will be a new project posted each and every day by all the wonderful amazing ladies in this hop. Also each day we will have a guest designer or two for you to visit. 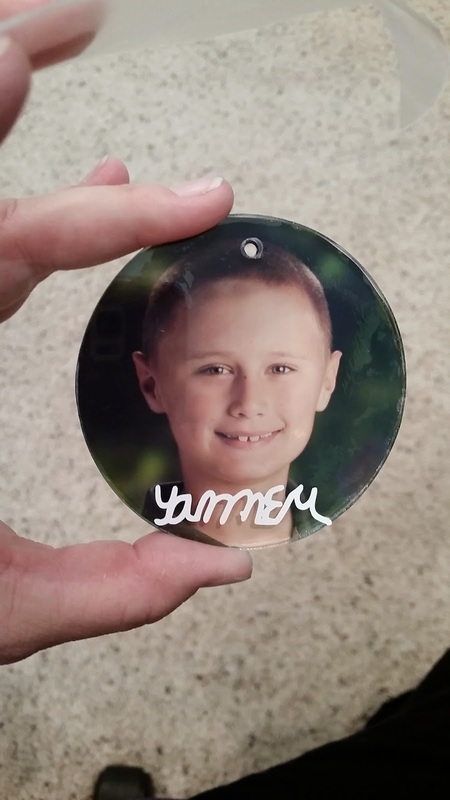 I made a glass ornament with Tanner's photo on the back and his handwriting on the front. 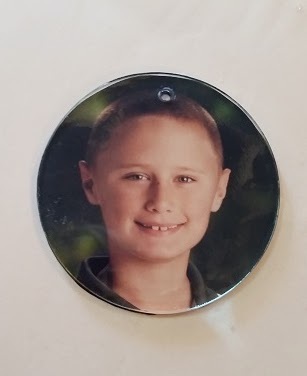 I traced the flat ornament on the picture of Tanner and cut it out. 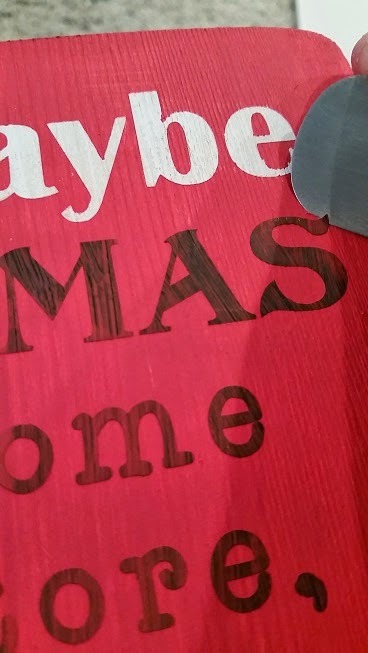 I punched the hole to match the hole in the ornament. 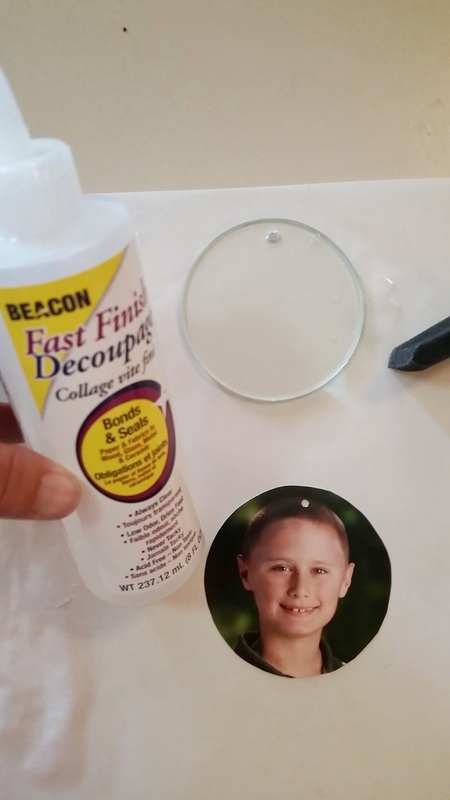 I used Beacon Fast Finish Decoupage adhesive to adhere the photo to the back of the glass. Once it dried, I trimmed around the edges as needed. Tanner is learning cursive in school FINALLY! He has been begging me since kindergarten to learn cursive. 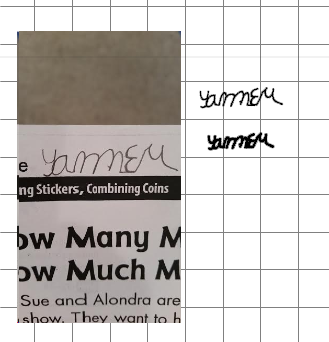 He started writing his name in cursive on his papers, so I took a picture of his handwriting and traced it with my cameo software. 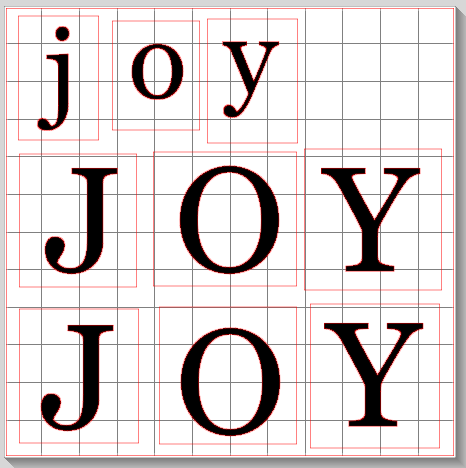 I used the offset feature to thicken up the letters a bit and cut them out with white vinyl. 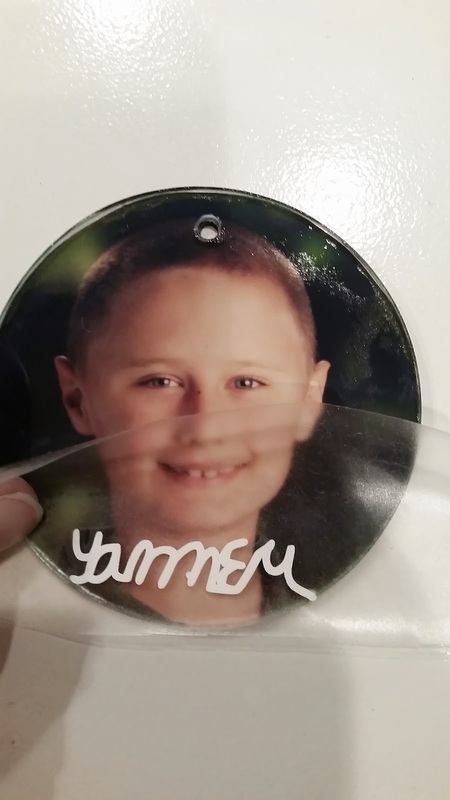 I used clear contact paper to transfer "Tanner" to the front of the ornament. Tanner was amazed when he saw this!! 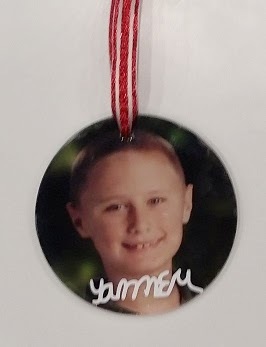 Every year I make a few ornaments that are special - a vacation memento or something significant that happened. This is my favorite one so far for 2014!! Your next stop is the Amazing ASHLEY! Happy Monday! Today I am featured at Frosted Designs!! We have three November birthdays in our family and we got together last night for pizza and presents! 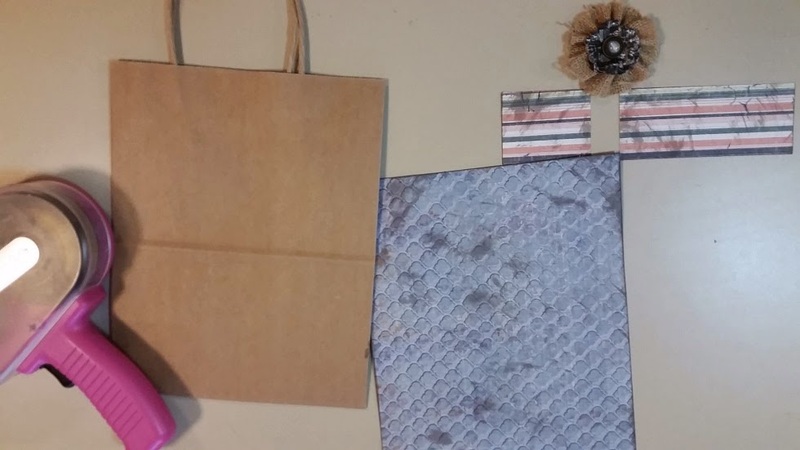 I forgot to pick up a gift bag for one of my gifts, so I made my own instead! 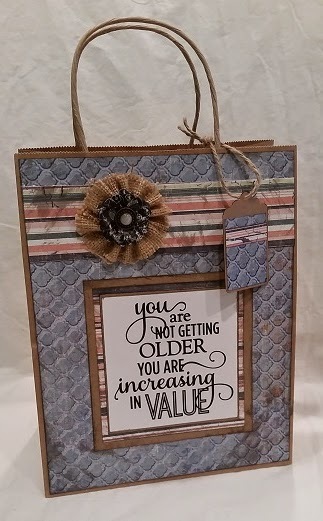 I took a kraft gift bag (size 8 x 10) and layered some beautiful papers on the front. 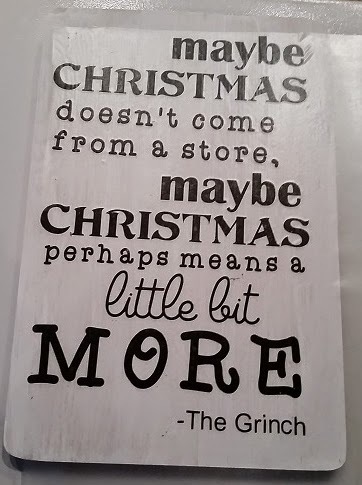 I printed out this sentiment from my computer and trimmed it to size. I inked all of the paper with Pumice Stone Distress Ink. 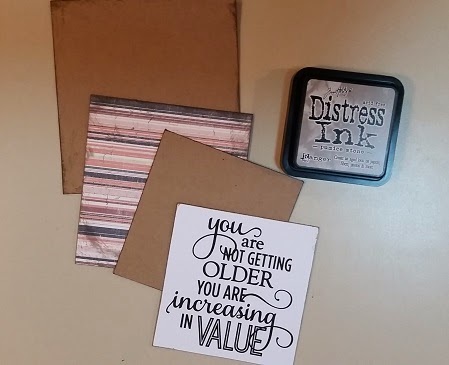 The papers and ink are from the Rustic Beauty Kit. Have I mentioned that I LOVE the Rustic Beauty Kit??? I inked the background paper too. The striped strip was a bit short so I cut it into two pieces. I put the flower over the gap. The flower is from the Garden of Abundance Kit. Shh - don't tell my secret! 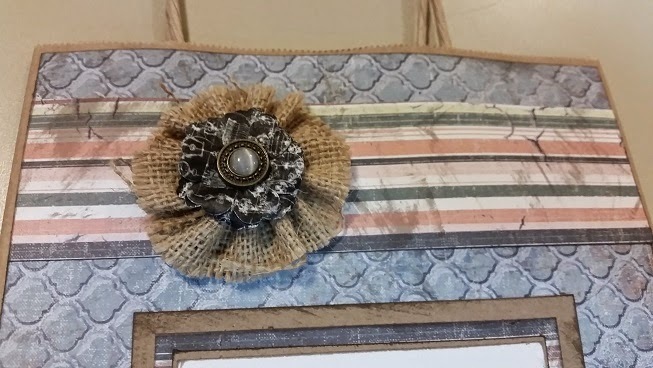 I made a little tag to mimic the bag and tied it on with some twine.